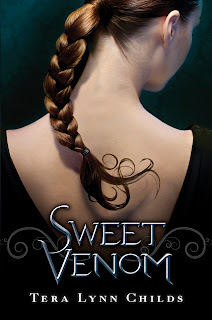 The Compulsive Reader: Cover Talk: Sweet Venom Reveal! There's not too much info yet, but this one will be hitting stores in October. It is about three teenage descendants of Medusa, the once-beautiful gorgon maligned by myth, who must reunite and embrace their fates in a world where monsters lurk in plain sight. So exciting! Put this one on your wishlist! This book is definitely going on my wish list. What a great cover! This sounds so good!! I love the cover! Oh! It's good! I like it.